A varied and extensive network of waterways runs throughout Greater London. 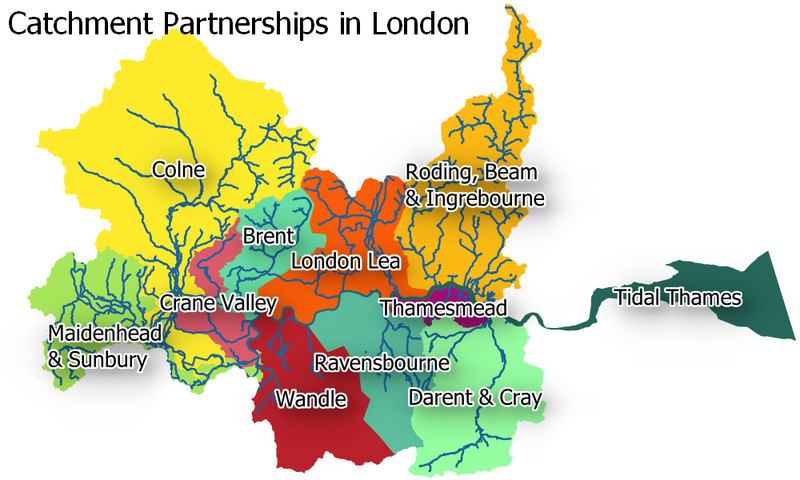 The Catchment Partnerships in London Group (CPiL) consists of representatives of Partnerships operating on rivers running partly or fully throughout the Capital. Some of these have been running for a number of years, while others have started up more recently. They are working to actively involve communities and other stakeholders in restoring their local rivers, tackling pollution, managing invasive species, and improving access to rivers. CPiL brings Partnerships together to exchange experiences and share solutions; work together to tackle London-wide issues; and have a more powerful, combined voice on issues affecting all than could be achieved by acting singly. The Group is chaired by Thames21 and members consist of representatives of the Partnerships plus other organisations with whom there are shared interests and who contribute actively to this work. Those wishing to contact CPiL should contact Debbie Leach. CPIL – Operational Catchment Rationale.